Walt Disney Treasures - Davy Crockett (DVD, 2001) NEW! METAL CASE Free Ship! Great item.Bid with confidence.Fast shipping.Great experience.Thank you.A+++!!!! 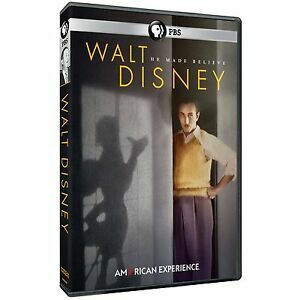 This PBS video about Walt Disney's life is excellent. It contained some new information that I hadn't seen in other sources of information about Walt Disney. I was able to see the struggles Walt faced as well as his successes. When he ran into problems, he just kept following his dream - a good lesson for us all! It was a great trip down memory lane, too. Extremely good documentary. Must have for any Disney Fan. Highly recommend. Very informative and entertaining LOVE DISNEY! A very well documentary of Walt Disney!